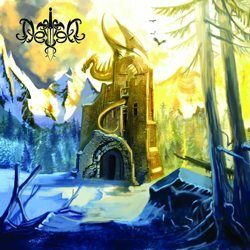 Underground Swiss folk metal band Delion from Geneva is adding the final touches to its upcoming debut EP “Tales of The Northern Realm” that will be self-released hopefully before the end of May 2014. Delion were formed in 2010, but due to line-up problems they took a break in the end of the same year, but they were reborn in September 2012 and released the online demo “The Beginning” in 2013. ”Tales of The Northern Realm” will be also released online initially, but a digipak CD edition will follow soon. Delion’s compositions are about a knignt named Delion. The band’s first demo was a prologue to the story of his past, while the EP is the next chapter. The complete story will be written later this year. Delion has just unveiled the final cover artwork and the album tracklist.